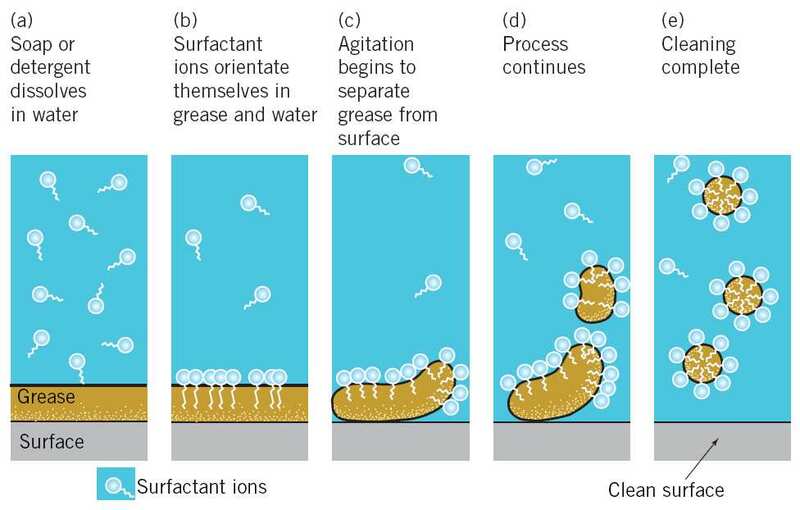 Home » General Interest » How does soap work? A bar of soap is a chemical miracle – a little scented block that unleashes molecular forces when dunked in water. So how does this little miracle, that saves lives daily by sanitizing the many deadly germs clinging to us, actually work ? 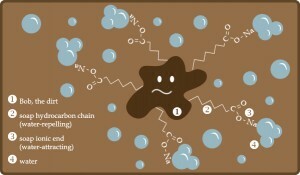 Second : It allows the soap molecules to work their way under dirt and prise it off, floating it away surrounded by bundles of molecules – which also stops the dirt simply floating back on to the clothes again. Oddly enough, although the Babylonians first made soap (presumably by accident) around 4,800 years ago, it was primarily used to treat skin conditions, its dirt-shifting powers weren’t recognized until medieval times. Given that so many bacterial and viral infections (especially colds) are transmitted by skin contact, the invention of soap must rate as one of the major medical breakthroughs in history.